Recently, a friend of mine shared how she feels about being a lupus survivor, and her words struck me in a big way. While using simple language, she was able to clearly describe what it feels like to have an autoimmune disease, as well as how the world sees it differently that her. My goal with this blog is not to share daily challenges or facts about lupus, but I have noticed that as a condition, lupus is still yet to be fully understood by the community as well as the ones who care about me the most. So, what is lupus again? How many times have you heard this question? For me, it’s like having different images of myself. One that is who I am inside, my inner strength, and the other is what my body can accomplish. It can feel like being a professional pianist (which I am not), playing with a broken instrument. She can have wonderful skills, but the sound still comes out awful. It’s having to acknowledge and accept my limitations, when I have always been a high achiever … frustrating! People from the outside see who you are in a different way, as well. They may make disrespectful or senseless comments. Family members, who love you, don’t understand either. Work colleagues think you are making a big deal out of nothing. I even had an rheumatologist with a PhD who invalidated and questioned my previous lupus diagnose. I have questioned my own judgment and feelings many times, wondering if what I am going through is really real. It is hard to believe in what I feel when my challenges are easily dismissed, due to people’s limited knowledge about lupus. Raising the awareness about autoimmune diseases is a must, and everyone has a key role to play. People need to know that being down with lupus is not a cold or a flu. It’s not contagious; it won’t improve; it won’t go away; a nap won’t help; there is no magical treatment, and it does not have a cure yet. Lupus patients take medicine to lower their immunity, while everyone else takes supplements and vaccines to strength it. One day we are up, others we are down. We never know. Life is harder to be planned, and long-term commitments are challenging. This uncertainty increases my anxiety, as well as my stress level. Suddenly I am caught in a vicious cycle. I get stressed because I cannot control my symptoms, and I cannot control the symptoms when I am stressed! Ugh! Having an autoimmune identity is complicated, and it is different for each one of us. One way to solve this challenge is to empower people to learn more about lupus. Don’t position yourself as a victim. We are what we believe. There are lots of resources available about lupus: tons of Facebook pages, fact blogs, resource websites, books, but word of mouth and social media can help spread the information faster, and help others. Joining local fundraising events to support the research for a cure. There are lots of options posted on the web or Facebook and the resources at Kaleidoscope Fighting Lupus is a good place to start. Spread the word, talk about Lupus with your family, friends, politicians. Learn more about it and share. Don’t be embarrassed. It is not a happy topic, but it is real. Volunteer for a local non-profit, or join a support group to share your story. 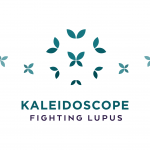 If you are in Portland, Oregon, Kaleidoscope Fighting Lupus hosts a local support group monthly. Being diagnosed is very hard, and by sharing your experience you can make a difference to others as well as to yourself! Hang in there. We are together on this.